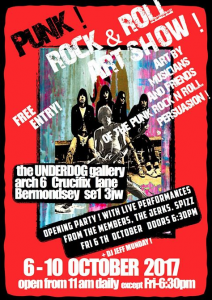 4th Punk Rock & Roll Art Show! Now On! Now on at Underdog Gallery, Bermondsey until Tuesday 10th October!